Hannah and Jason chose to have a destination wedding at the Postcard Inn Beach Resort and Marina in Islamorada, Florida. 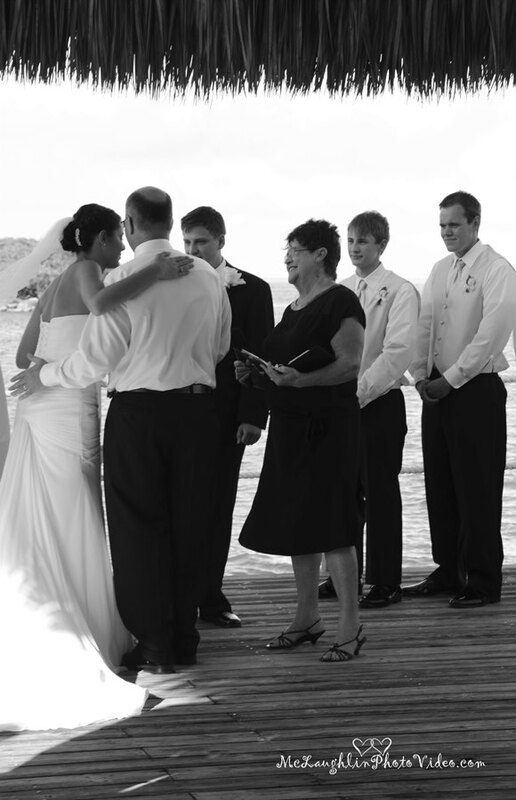 They were surrounded by friends and family that traveled to The Keys to celebrate this special day. When we asked Hannah to share some thoughts about her wedding she provided us with such great detail that we thought we would share these beautiful pictures using her words to tell the story. My husband and I planned our wedding while living in different states from one another (and both attending school/working part time). Needless to say we were looking for vendors that were reliable and reasonably priced. We decided to do a Destination Wedding based on the fact that our families are from different states (Ohio, Connecticut, and Minnesota). My husband, Jason, found the Postcard Inn Beach Resort and Marina using TripAdvisor and The Knot websites (Jason did most of the planning—I’m a lucky girl!). We found the best way to find our vendors was using reviews (especially since we didn’t meet anyone or see our venue until the week of the wedding)! The Postcard Inn had great reviews and was perfect for what we were looking for; a casual place with a fun atmosphere. Maggie, Amy, and Wendy from the Postcard Inn were extremely helpful in suggesting other local vendors (that’s how we found McLaughlin Photo and Video and Publix)! I would highly recommend to other brides to look at reviews online, especially when planning a destination wedding. I was truly touched by how many friends and family made the trip down to Islamorada. I felt so much love on our wedding day and cannot thank everyone enough. We all had such a good time down in The Keys—snorkeling, partying, and sunbathing! I really can’t say enough good things about our officiant, Peggy. She helped to capture the essence of our relationship during the ceremony and made it truly special. Peggy spent hours on the phone with us before our Wedding Day, making sure that we were getting exactly what we wanted out of the Ceremony. She helped to make our day truly special. Every bride knows that photos are extremely important—it’s how you will remember your big day for years to come! That being said, we were so impressed with our photographer, Paula from McLaughlin Photo and Video! They were on time, had great suggestions, and truly captured the each and every special moment. 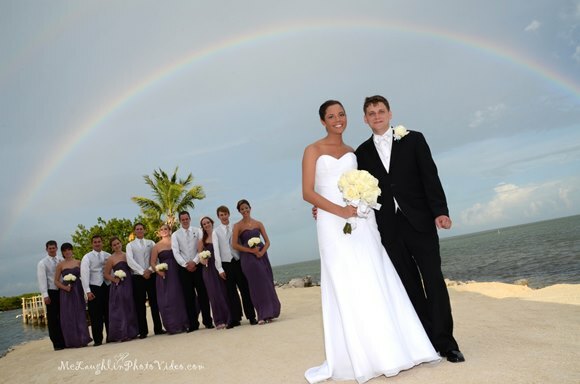 Not to mention they were able get a great picture with the rainbow at our wedding—what more could we have asked for? Our pictures are amazing and I still find myself looking through them almost every day. When planning our Wedding I was not sure if I wanted to get my hair or make-up done, but I’m so glad I did. Medusa Mane and Hair did an amazing job and my girls and I had a great time getting ready. Thank you to their team for their amazing work! It was difficult to decide what kind of flowers and cake to get since I wouldn’t be able to see them until the day of the wedding. Publix was extremely helpful in talking me through the process, and they were much more affordable than other vendors! I decided to go with white roses since white matches everything! The Publix bakery department was also extremely helpful with helping me to custom order the cake I wanted. I felt that the flowers and cake were perfect, and Publix even delivered which made my life much easier on the day of the Wedding. Our Musician, Ed, assisted in making the day go so smoothly. Ed spent multiple hours on the phone with us before the wedding, helping us make key decisions. He also agreed to be our Emcee for the evening, and I think he did an amazing job, making our guests feel welcomed and taking the pressure off of us! During the planning process he created an itinerary, helped us choose songs, and even brought his son Nate along to be our DJ! I was very impressed with his professionalism and would recommend him to any bride in the South Florida area! I really can’t thank Nate and Ed enough. At first Jason and I were unsure if we wanted a DJ but we were so happy we went with Ed’s suggestion. I do not think our guests would have had nearly as much fun without one. 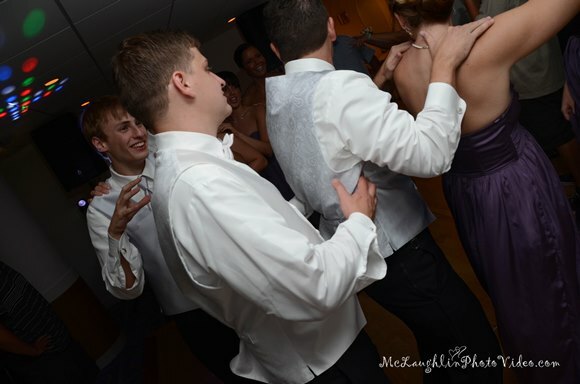 Nate had excellent song selections and truly knew how to get the party started! 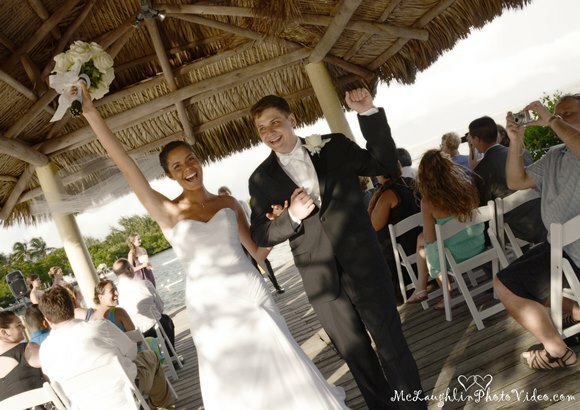 Overall the key to planning a wedding (especially a Destination Wedding) is to read reviews! All of our vendors had great reviews and we couldn’t have been happier with the way our special day turned out! Thanks again to McLaughlin Photo for the amazing photos! We love ‘em!